In addition to roses, Bloemfontein is home to the magnificent Orchid House, which showcases these rare blooms to perfection. The nursery has a glass domed greenhouse, which has hundreds of colourful orchids, ranging from miniature flowers smaller than a finger print, to large ones that are roughly the size of a hand. The orchids bloom during winter, making this the best time to visit. It is situated in Hamilton Park, overlooked by Naval Hill. Entrance is free. For young and old alike, the Bloemfontein Zoo is a delight to visit. It is home to a fascinating variety of wildlife, including the Big 5 (lions, leopards, rhinos, elephants and buffalos), tigers, panthers and hippos. The birdlife is impressive, to say the least, and continues to attract bird-watching enthusiasts from afar. In addition, the Bloemfontein Zoo is home to a liger, which is a beautiful cross between a lion and a tiger. 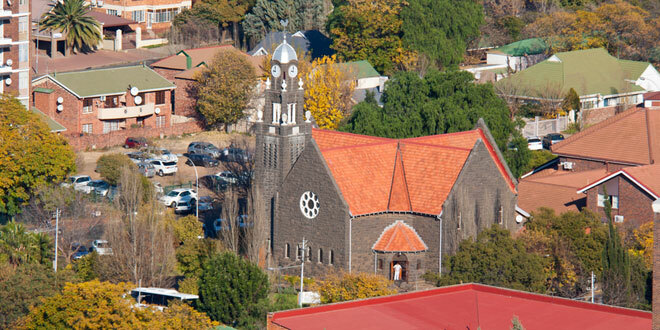 Bloemfontein has a fascinating, far-reaching history. This museum reveals the natural history, cultural wealth and artistic talents that define the region. This Declared Cultural Institution was established in 1877. Its permanent exhibitions comprise Archaeology, Birds, Bloemfontein’s History, Herpetology, Palaeontology, Astronomy, live displays, and plenty more. Its sizeable collection of fossils is impressive, including the skull of the Florisbad Man, which is thought to be about 35 000 years old. See National Museum Bloemfontein on Nasmus. This cultural route was initiated as an opportunity for the locals to develop a sense of entrepreneurship. It introduces visitors to the very real history of South Africa, the effects of colonialism and the struggle for freedom for all races. The local businesses stand to benefit enormously, including the tour operators, restaurateurs, etc… Meet the locals, get a taste of South African traditions and witness the historical buildings and monuments that make this such a memorable experience. See Mangauung Cultural Route on SAT. The landscapes around Bloemfontein are the natural habitat of many different birds, animals and plant species. Local reserves and parks showcase these to perfection. They include the Franklin Nature Reserve, Maria Moroka Game Reserve, and the Soetdoring Dam Nature Reserve.